After his passing this week, I feel doubly lucky that when I bought the book, I bought it directly from him. 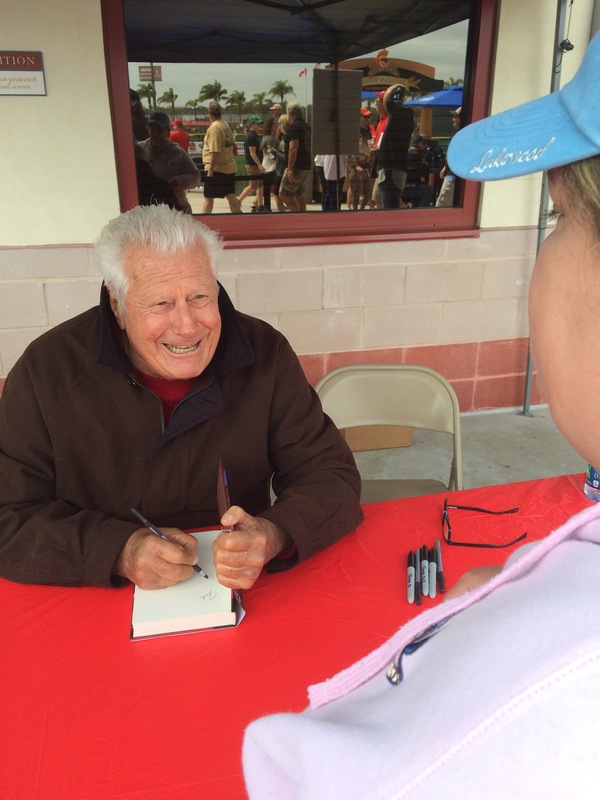 Two years ago, he had a book signing at then Brighthouse Field. I bought a ticket specifically to see Dallas. 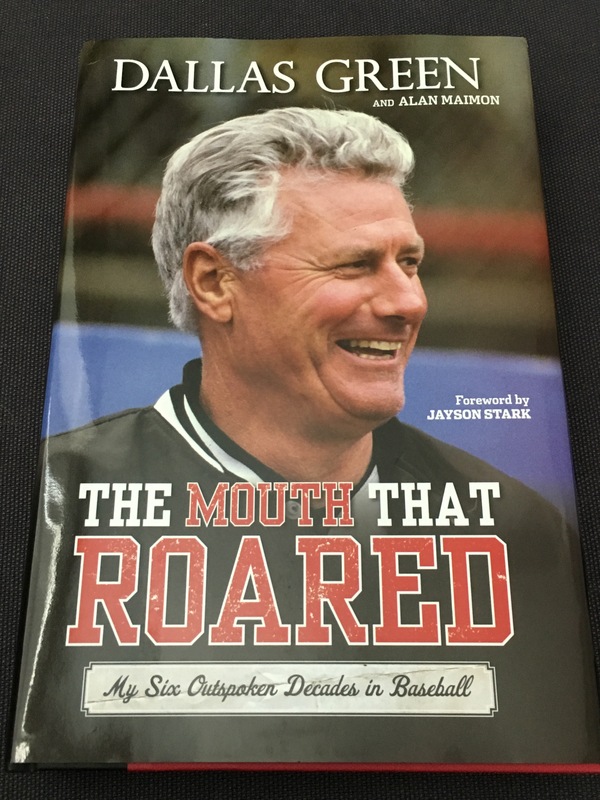 I purchased a book and when I got to the table to have it signed, I recounted to Green that as a young child I was *cough, cough* “sick” the day of the World Series parade so that I could stay home and watch it on television. I asked him to “not tell my mother I faked illness to see the parade” and he had a hearty laugh. Dallas Green laughing at me telling him about faking illness to watch the 1980 World Series victory parade on TV. He even left a nice inscription in my book. 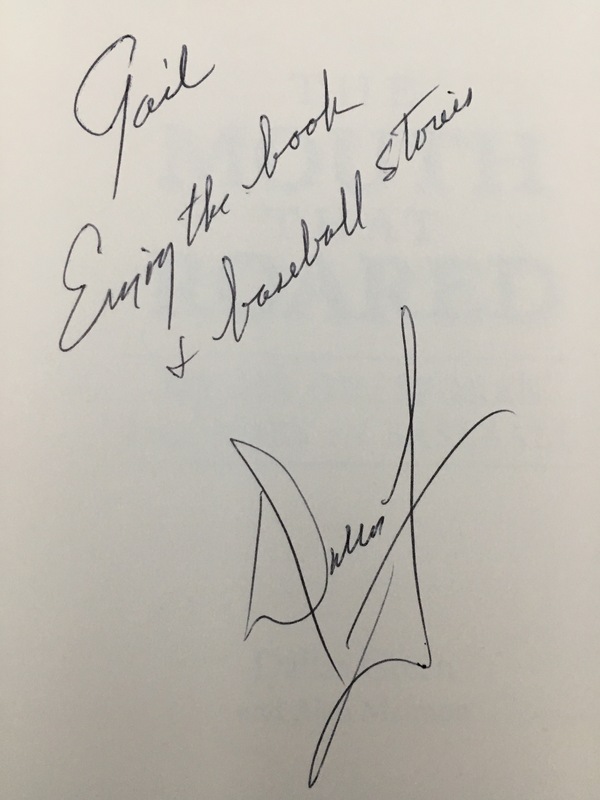 When I read that inscription today, it really hit me, it felt like while he is gone, that big personality will go on, carried on in his book and in the memories of us who loved seeing him at Spring Training and at games. RIP Dallas Green, Rest In Peace.